Chuff chuff – off we go! 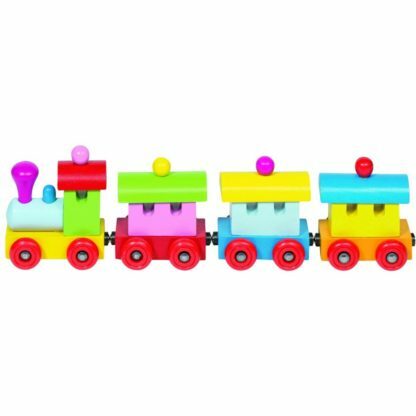 This wooden, magnetic train is lovely – the four carriages will go together in any order with soft colours that are really attractive. 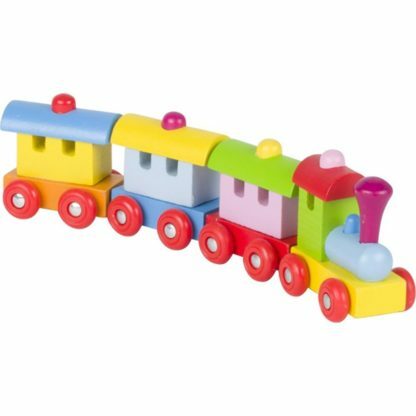 Hours of fun pulling it along the floor – we want to play! So well made and with great painting – this is a really attractive gift for anyone.